MONTRÉAL – Montreal Canadiens general manager Marc Bergevin announced on Thursday that the team has agreed to terms on a two-year contract with forward Alex Galchenyuk (2015-16 to 2016-17). 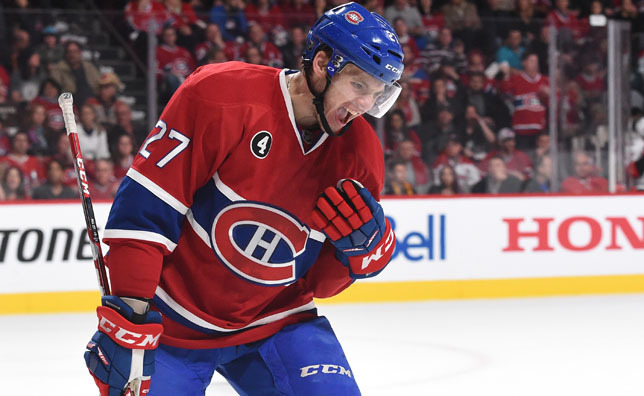 “We are very pleased to have reached a two-year agreement with Alex Galchenyuk. Alex is a young forward constantly improving and who has contributed to the success of the Club since joining the NHL three seasons ago. Despite his young age, he has gained valuable experience through 193 regular-season games and 22 playoff contests. He shows maturity and fits in well within our young players development philosophy. Alex is an integral part of our core of forwards and we are confident in his ability to continue to improve his game,” said general manager Marc Bergevin. Galchenyuk, 21, played 80 games with the Canadiens in 2014-15. He set personal highs in goals (20), assists (26) and points (46). Three of his goals were tallied on the powerplay and scored one winning goal. The 6’01’’, 198-lbs forward maintained a +8 differential and was assessed 39 penalty minutes, while maintaining an average of 16:25 of ice time per game. Galchenyuk added four points (1 goal, 3 assists) and a +1 differential in 12 playoffs contests. Since making his NHL debut in 2012, Galchenyuk has played 193 regular season games with the Canadiens. He has notched 104 points (42 goals, 62 assists), including six powerplay goals and five game-winning goals. He displays a +10 plus/minus differential and was assessed 85 penalty minutes. He has added 10 points (4 goals, 6 assists) in 22 career playoff contests in the NHL. Native of Milwaukee, Wisconsin, Galchenyuk was selected in the first round by the Canadiens, third overall, at the 2012 NHL Entry Draft.